A UNITED VIEW ON FOOTBALL: Blocked! Full of excitement and optimism, my Blades watching season kicked off yesterday but I nearly missed kick off thanks to farcical problems at the ground. Arriving at the Kop turnstiles at the top of Shoreham Street at about 2:40pm, my 6 year old son tried his season card in the turnstile. It didn't work. I tried it for him. Red light, no entry. I tried my card, green light and he pushed his way through. Now he was in the ground and I wasn't. I called out to my mate Steve who came and collected him the other side of the wall. I sought assistance from a steward so I could get into the ground. Two female stewards, right outside the gate explained that a lot of cards were not working then directed me to a senior steward with some sort of scanning machine who had 5 or 6 people gathered round him. I explained that my 6 year old son was in the ground, but they said the fact that he was with my mate was fine. Well he knows Steve, but as a nervous boy he will be wondering where his Dad is and what is going on? I finally spoke to our harrassed man in the illuminous yellow jacket who informed me that the card was "blocked" and I would have to go to the ticket office to sort it out. Now I understand, these people were doing their jobs, they have processes to follow. After all, what is to stop someone turning up with a non-renewed card (there are plenty of them this season) and claiming they should be let in. But they are also unable to exercise any sensible discretion or common sense. I set off round to Cherry Street, to be faced with two long queues stretching along the car park from both ticket office and promotions office. I rang Steve, my son was okay, but wanted me. They were heading up to the seats to see if my Dad and brother were in the ground. I spoke to a steward, I told him my predicament and he headed over to speak to a steward and security outside the Promotions Office. The queues contained a lot of hot and angry people. Those trying to collect tickets, those trying to buy (including Brentford fans) and a lot of people with £300+ of season ticket blocked, including one father I spoke to in the same predicament as me, with a young son in the ground and him locked out. A steward got me to the head of the queue in the Promotions Office and a security lady called Tracey said to speak to her when I had got my ticket sorted and she would speed up my entry to the ground. Whilst waiting for my card to be investigated, I received a text from Steve. "Worse still, someone has a proper ticket for your seat!" Insult added to injury. After a few minutes the member of staff came back and told me I couldn't use my son's card from last season. I said that mine automatically renews on the same card and, in the absence of any advice to the contrary when they were renewed, I thought the junior ticket would be the same. I was then told in an accusatory tone "Well you should have a new one". I said "I haven't received one", to which the telling reply was "Well you should have,if you haven't you might get it Monday"!! Was that an admittance that they had been sent out late? I was told I would have to come down and sort it out Monday. They were unable to explain how my seats had been sold to someone else. Paper ticket in hand I sought out Tracey and she took me through the South Stand turnstile gates, through the stand, around the pitch and to the Kop Supervisor who would sort out the duplicate ticket issue. As I wandered up to my seat, supervisor in tow, I saw a very relieved little boy and an empty seat. My Dad had explained that they were season ticket seats and after remaining in situ for a short while they eventually moved to other seats. The teams came out and I picked up my boy and held him up to watch, just in time. I've heard of problems in prior seasons, but to be caught up in it was a stressful and upsetting start to the afternoon, even before I have to watch Neil Collins try and defend. What bothered me more was the club's inability to cope with the situation. I was lucky I was moved through the queue quickly. Others, like the other Dad seperated from his son were less fortunate. Thanks Tracey, if only more people used the common sense and understanding approach as you. If you hadn't, I would have had a very upset son and missed a large proportion of the first half. Knowing it was a reasonably widespread problem, I expected at least an acknowledgement on the club website. An apology to those inconvenienced through no fault of their own. It is 11:45, Sunday night. Nothing. So tomorrow, whilst at work, I will have to ring up to sort out the blocked season ticket and make sure they haven't sold my seat to someone else for Tuesday night's game against Walsall. God help them, if they ask me to go down and sort it out in person. United have lost around 5,000 season ticket holders from last season. Maybe they want to treat those still around a little better. Sounds appalling. As a fan of Reading who operate a similar scheme, there have been few problems but the things not quite working is one thing, the unhelpful service you received is another. 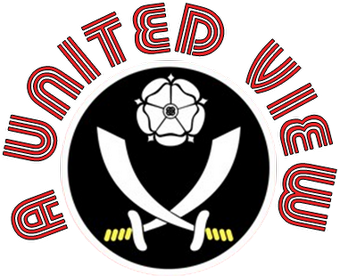 At least Blades have got off to a flyer.